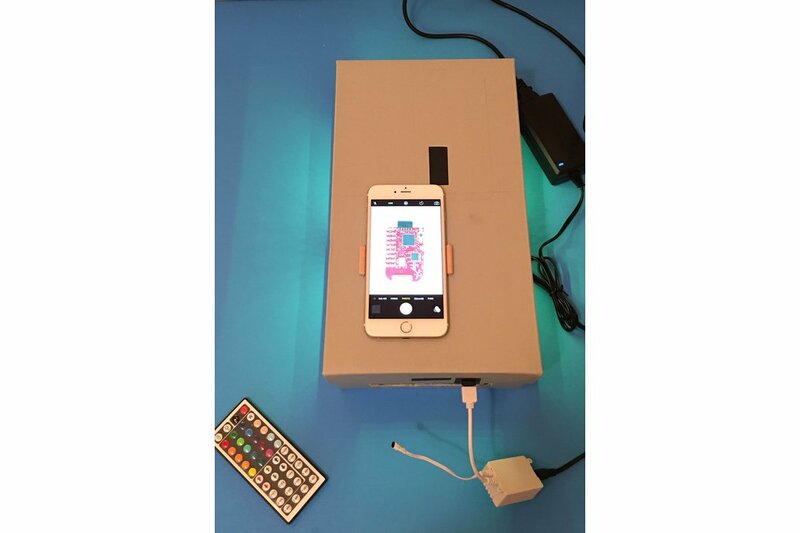 Take great pictures of your small components using this simple photo studio with lighting controls using your smart phone's camera! Small photo studio designed specifically to let makers take great photos of their electronic creations using their smart phones. Provides a convenient and stable location for your smartphone above your finished assembly or IC and intelligent LED lighting that can be controlled to provide different colors and intensity. I found taking photos of my PCB's and IC's manually with my smart phone to be unstable and inconsistent due to the components' small size. It was difficult and inconvenient to setup the lighting, the subject placement, and the focus every time their was a new board built and photos were required for user manual documentation or application notes. The only better way to take a good photo of PCB's would be to use microscope camera with an appropriately spaced xyz stage or have a dedicated camera with an appropriate tripod setup that was specifically setup for taking photos of these small items but this was not always available or convenient. So why not use all the great features of smart phone camera's if we can do it in a convenient and repeatable way? 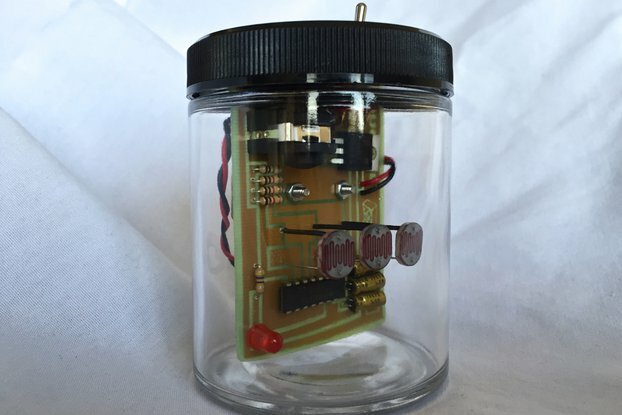 That question is what lead us to make this very simple but effective PCB studio. The backdrop is white construction paper for professional looking photos appropriate for any type of marketing documentation (datasheets, product briefs, etc.,). There is controllable LED lighting for times when the natural light or the smart phone camera light are not enough or different effect is desired. Perspective shadow photography is possible as well if some of the windows are covered (see photos). Note the RGB controller with remote control is not included and the 12V DC power supply for the RGB controller is not included but both can be purchased as additional options. What are some of the special features? It can be used with any smartphone with a decent camera like an IPhone or Galaxy S7 phone. Two dowel pins are placed on the top lid to be used as alignment guides for repeatable placement. There are LED's that provide excellent lighting for taking pictures. The intensity and color can be controlled using an RGB LED controller (not included). A 12V power supply is also required for the controller that is also not included but can be purchased as an option. Can also use natural light or the smartphone's camera light for taking high quality pictures as well. Open cover lid and place component to be photographed on the small dot mark so device will be lined up with the smart phone's camera. Place cover lid back and place smartphone on top of lid on it's designated location. 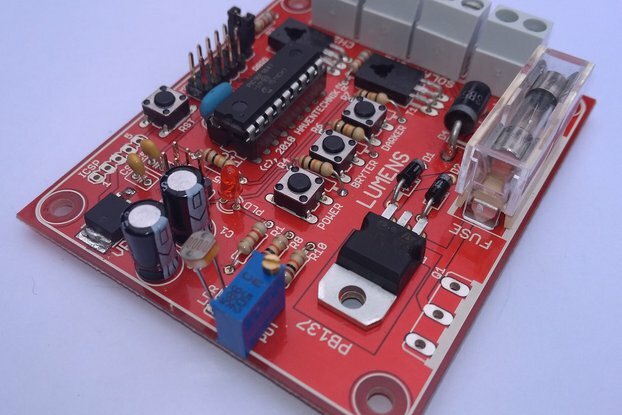 Connect RGB controller to RGB LED connector and 12V power supply to the controller. Adjust RGB light to desired light color and strength. See some pictures I took with my first version of the PCB studio in the pictures section. Note their are some additional markings on this first prototype PCB version since it was made from an existing shoe box. Your version will not have any extra markings. PCB studio box includes white paper backdrop, RGB LED controllable lighting already installed in the lid.